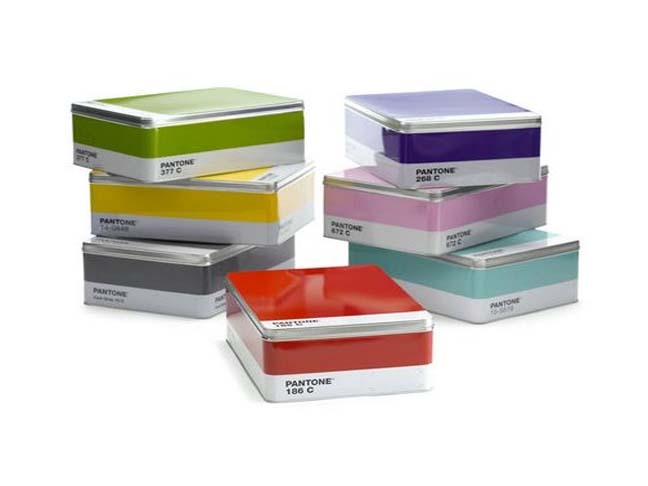 Give the gift of color this year with this richly hued collection from Pantone! The perfect union of necessity and design, these metal bins are ideal for storing art materials, photographs and odds and ends. Available in 7 colors for $19.99. 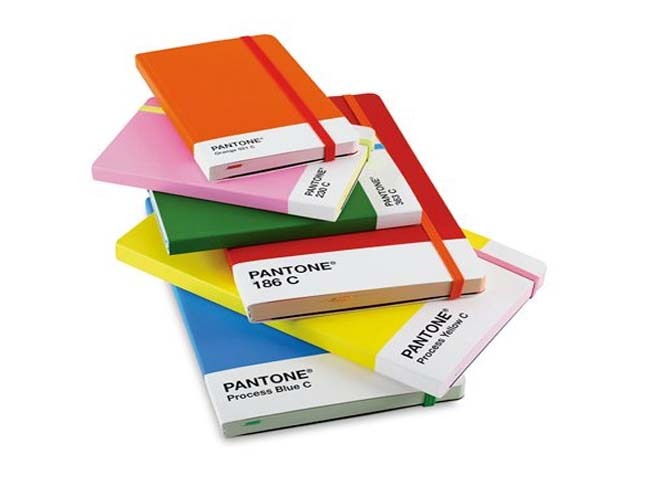 These fabulous notebooks in true Pantone colors are made from a robust card stock with a back pocket for storing bits and pieces. 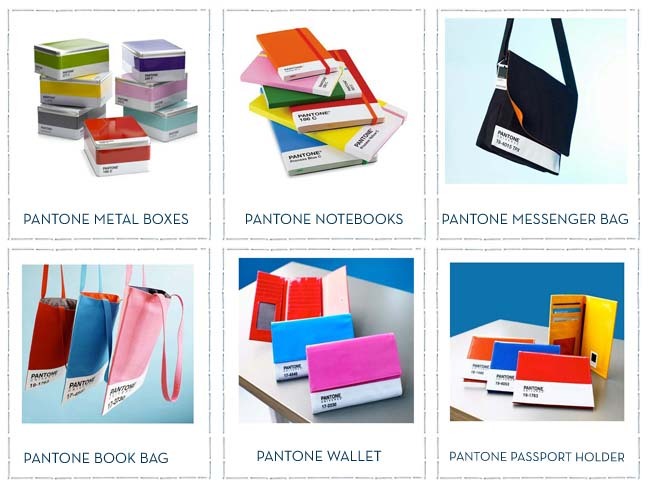 Notebooks stay closed and secure with an elastic strap and include a handy bookmark. Available in both small (192 pages, $11.99) and large (240 pages, $17.99) sizes at dickblick.com. 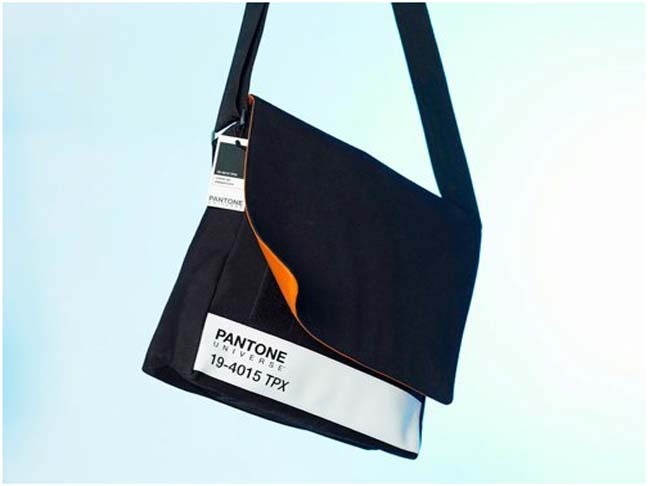 Pantone’s streamlined messenger bag is full of interior features, including pockets for your documents, cell phone, iPod, and more. 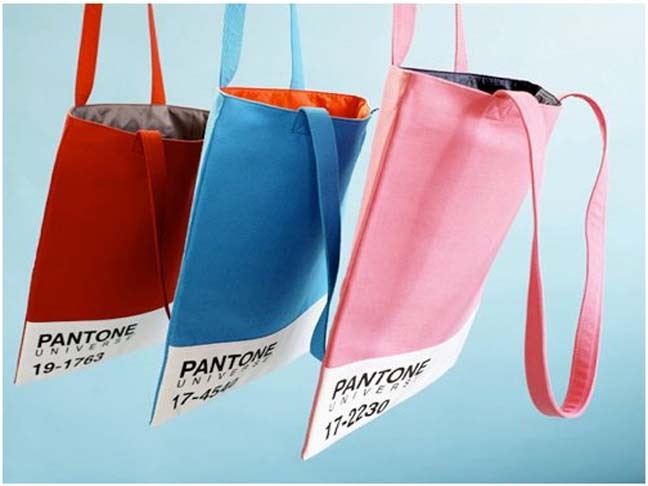 Made of heavy duty cotton canvas and nylon. Available in 5 colors for $79.99. 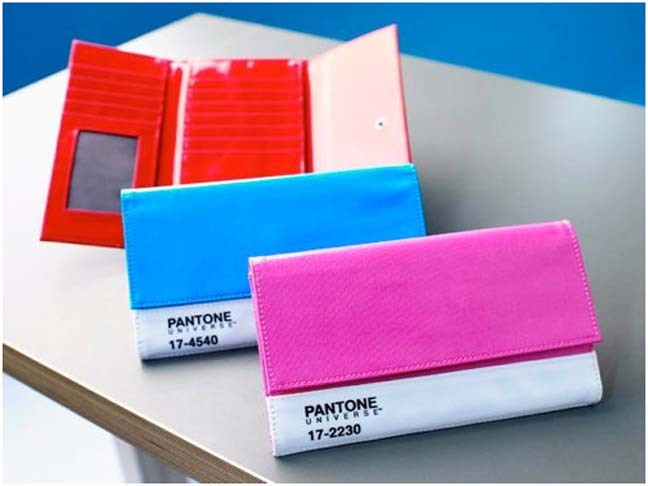 Available in 3 bright colors, the Pantone Big Wallet is made of an oil cloth canvas to handle a lot of daily activity. The interior has a dozen card-sized pockets, one with a clear front for your ID. There are also two large pockets for tucking in cash, receipts and other documents. A generous zippered coin keeper round up the outside. Snap closure. Available for $39.99 at popdeluxe.net. 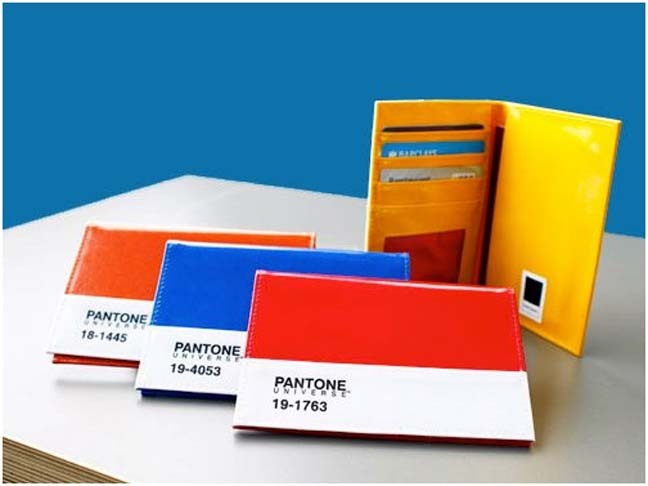 The perfect passport holder for the design lover! It comes in 4 colors: red, yellow, orange and blue with zingy contrasting interiors. You won’t be losing this one in the bottom of your bag! It has 2 large pockets for your passport, slots for your cards and a deep top pocket for boarding cards. Available for $23.99 at popdeluxe.net.